We begin this program with the story of an incredible singer from a school for disabled people in Zimbabwe and her marimba band, Liyana. The musicians of Liyana are also all people with disabilities. It’s been chronicled in the Oscar-winning independent film “Music by Prudence” produced by Roger Ross Williams. people with disabilities advocate for the teaching of disability history; and the Americans with Disability Act (ADA) is debated in the U.S. Congress. Finally, “The Amputee Rap” by Josh Sundquist… for a moment of disability cool. Leah Gardner and Adrienne Lauby host. All this, to encourage you to become a member of KPFA. 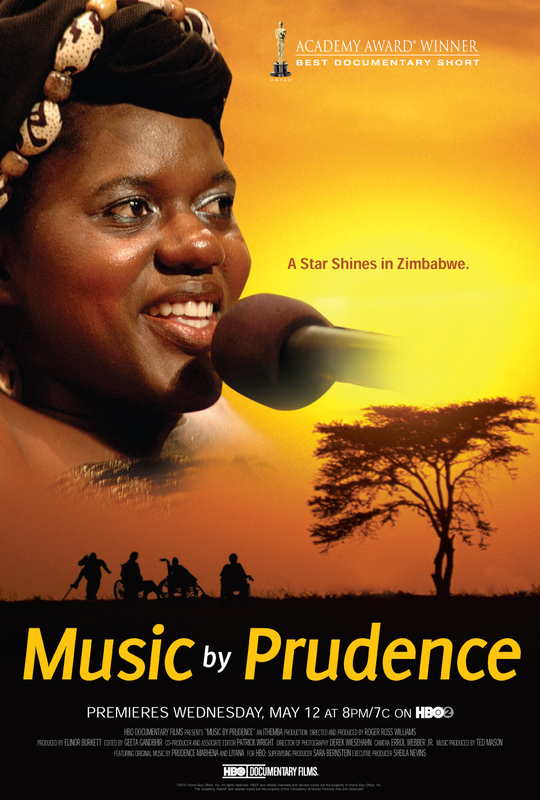 We’ll send you a DVD of “Music by Prudence,” a CD of this historic audio or a box of chocolate Braille fortune cookies if you will become a member of our KPFA subscriber community at the $45 level. The Cookies have been donated by The Lucky Touch Fortune Cookie Company, a student-operated business at the California School for the Blind. This entry was posted in Activism, Adrienne Lauby, Americans with Disabilities Act, Deaf, Film, Leah Gardner, Music, Politics, Protest, Story Telling - Disability and tagged Liyana, Lucky Touch Fortune Cookie Company, Music by Prudence, Prudence Mabhana. Bookmark the permalink.